How do ordinary Muslims deal with and influence the increasingly pervasive Islamic norms set by institutions of the state and religion? Becoming Better Muslims offers an innovative account of the dynamic interactions between individual Muslims, religious authorities, and the state in Aceh, Indonesia. 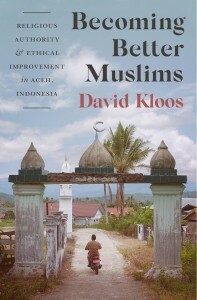 Relying on extensive historical and ethnographic research, David Kloos offers a detailed analysis of religious life in Aceh and an investigation into today’s personal processes of ethical formation. Aceh is known for its history of rebellion and its recent implementation of Islamic law. 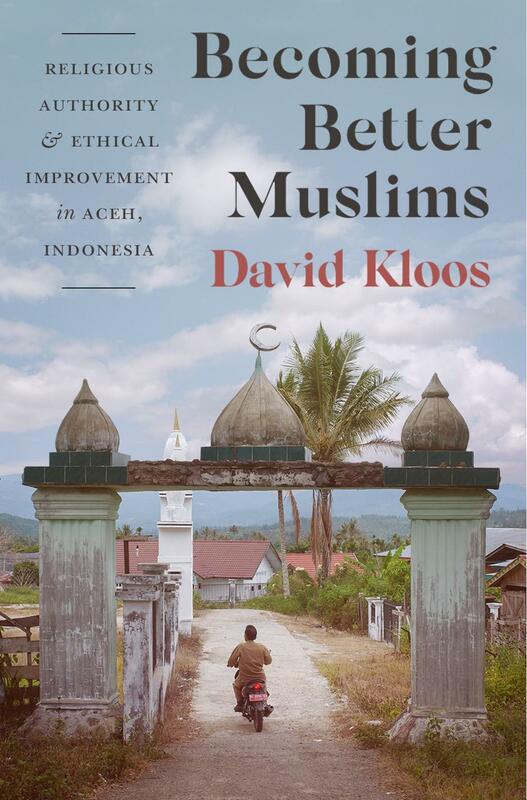 Debunking the stereotypical image of the Acehnese as inherently pious or fanatical, Kloos shows how Acehnese Muslims reflect consciously on their faith and often frame their religious lives in terms of gradual ethical improvement. Revealing that most Muslims view their lives through the prism of uncertainty, doubt, and imperfection, he argues that these senses of failure contribute strongly to how individuals try to become better Muslims. He also demonstrates that while religious authorities have encroached on believers and local communities, constraining them in their beliefs and practices, the same process has enabled ordinary Muslims to reflect on moral choices and dilemmas, and to shape the ways religious norms are enforced. Arguing that Islamic norms are carried out through daily negotiations and contestations rather than blind conformity, Becoming Better Muslims examines how ordinary people develop and exercise their religious agency. Asian Studies Review 40 (4), 2016. Co-edited with R. Michael Feener and Annemarie Samuels. Leiden: Brill. This book examines the relationship between the state state implementation of Shariʿa and diverse lived realities of everyday Islam in contemporary Aceh, Indonesia. With chapters covering topics ranging from NGOs and diaspora politics to female ulama and punk rockers, the volume opens new perspectives on the complexity of Muslim discourse and practice in a society that has experienced tremendous changes since the 2004 Indian Ocean tsunami. These detailed accounts of and critical reflections on how different groups in Acehnese society negotiate their experiences and understandings of Islam highlight the complexity of the ways in which the state is both a formative and a limited force with regard to religious and social transformation. Forthcoming in American Ethnologist 46, 2 (2019). 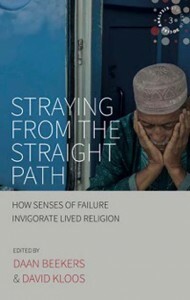 In: Straying from the Straight Path: How Senses of Failure Invigorate Lived Religion, ed. Daan Beekers and David Kloos, pp. 1-19. New York & Oxford: Berghahn, 2018. 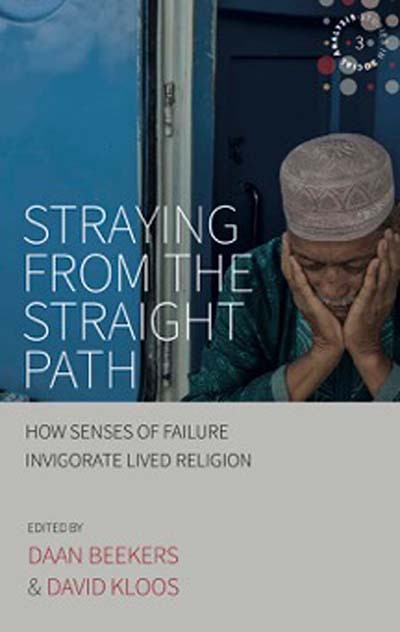 In: Straying from the Straight Path: How Senses of Failure Invigorate Lived Religion, ed. Daan Beekers and David Kloos, pp. 90-106. New York & Oxford: Berghahn, 2018. In: Voyage of Discovery: Exploring the Collections of the Asian Library at Leiden University, ed. Alexander Reeuwijk, pp. 148-55. Leiden: Leiden University Press, 2017. In: Citizenship and Democratization in Southeast Asia, ed. Ward Berenschot, Henk Schulte Nordholt and Laurens Bakker, pp. 178-207. Leiden: Brill, 2016. 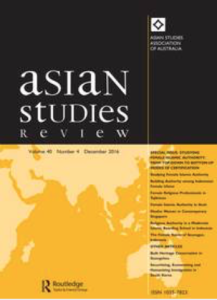 This article introduces a special issue on female Islamic authority in contemporary Asia. It provides an overview of the literature on religious authority in Islam and briefly lays out which modes of female religious authority have been more accepted than others in the schools of jurisprudence. Based on the articles included in this issue, the introduction makes two chief observations. First, in contrast to the overwhelming consensus among experts of Islamic law that women may serve as muftūn (plural of muftī), in most Muslim-majority societies today women are either seldom found in this role, or where there are muftīyāt (female muftūn), their role is confined to women’s issues. Second, while a growing body of academic studies has drawn attention to the recent phenomenon of state-instituted or -supported programs that train women in Islamic authority, little attention has been paid to the question of how communities react to such programs. The special issue is a call to study female religious authority from the bottom up, in order to better understand why believers, whether men or women, ascribe religious authority to women in some contexts and situations, but overwhelmingly still prefer male religious authority over female, despite the permissiveness for female juristic expertise in Islamic law. This article analyses the relationship between gender and religious authority in contemporary Aceh, Indonesia. It focuses on the lives and careers of two female Islamic teachers in different parts of the province. Their authority, it is argued, derives from expertise acquired from prestigious centres of religious learning, careful (if not always successful) negotiation of formal institutions – including the state – and their status as local community leaders. Their views and experiences raise urgent questions about the position of women in Acehnese society and the influence of (the rise of) normative Islam and the state. By asking what, exactly, is “female” about female Islamic authority, and what is not, this article addresses a persistent dichotomy in the literature on Southeast Asia between formal (state and religious) discourses and institutions as a source of male authority and more informal, localised practices and social relations as a domain of female authority. This article discusses the early modern Acehnese epic tradition to demonstrate the emergence of an individualized Muslim ethics. From the late seventeenth century onwards, a protracted decline of Acehnese royal power initiated a process of political fragmentation as well as the gradual integration of rural areas in the globalizing economy. This shift coincided with the emergence of local religious teachers as a new and influential social group. Contingent upon these changes, the Acehnese epic tradition shifted from a dominant cosmological model based on ritual hierarchies to a paradigm of reflexive ethics based on individual responsibility to God. In: Islam, Politics and Change: The Indonesian Experience, ed. Kees van Dijk and Nico Kaptein, pp. 269-94. Leiden: Leiden University Press, 2015. This article uses material from “Recording the Future: An Audiovisual Archive of Everyday Life in Indonesia in the 21st Century” (RtF) in order to explore the creative and emotional processes through which ordinary Indonesians try to make places “their own.” Employing the notion of “makeshift” as an analytical category, I analyze how modes of improvisation and senses of temporariness are visualized in the RtF archive. By doing so, I centralize the everyday conditions and experiences of a seemingly amorphous but increasingly significant class of Indonesian domestic migrants in search of an income and a place to live. Integrating visual materials and textual analysis, I argue that these experiences are based, on the one hand, on a willingness to leave and the ability to adapt and, on the other hand, on a fundamental desire for a stable and regular life. 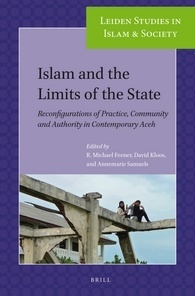 In: Islam and the Limits of the State: Reconfigurations of Practice, Community and Authority in Contemporary Aceh, ed. R. Michael Feener, David Kloos and Annemarie Samuels, pp. 56-86. Leiden: Brill, 2015. In the Name of Syariah? This essay looks at the views and actions of vigilantes, community leaders, and state agents with regard to the dynamics of public morality and vigilante violence in Aceh. Post-conflict, post-tsunami Aceh is a society in flux, and in recent years concerns about “correct” behavior have been propelled to the forefront of political debate. A central element of this process is the content and enforcement of Islamic law, or syariah, implemented in the region since the early 2000s. Some local activist and paramilitary groups have carried out raids, violent actions, and punishments to “help” the government implement and enforce syariah. Religious and political leaders occasionally support this violence as a proper way of dealing with moral decline, failing authorities, or both. Vigilante violence “in the name of syariah,” while situated at the margins of social and political activism, is a reality in contemporary Aceh. However, in many cases, syariah is not the central issue. Instead, perpetrators, often local young males, point to the need of protecting the “good name” of their village through upholding local customs or village law. This article deals with broad social and political changes as well as specific cases of morality policing. Rather than view the outbreak of vigilante violence as a matter to be engaged either by the state or by “traditional” leaders, it demonstrates how these spheres of authority interact. Together, the cases discussed in this article show that the concept of, and control over, village territories constitutes a central aspect of the struggle for moral authority and vigilante violence in contemporary Aceh. Bijdragen tot de Taal-, Land, en Volkenkunde [Journal of the Humanities and Social Sciences of Southeast Asia] 170, 1 (2014), 25–65. Bijdragen tot de Taal-, Land, en Volkenkunde [Journal of the Humanities and Social Sciences of Southeast Asia] 169, 4 (2013), 518-24. This article investigates the ways in which the Dutch colonial state dealt with a phenomenon known as the Atjeh-moorden (‘Aceh murders’), the persistent suicide-attacks directed at the lives of Dutch residents, committed by Acehnese hoping to become syahid (martyrs to the Islamic faith). Concentrating on the development of colonial psychiatry, and its influence on colonial discourses and practices, I show how Dutch dealings with the Atjeh-moorden were, simultaneously, part and parcel of the construction of an Acehnese subject, and indicative of the administrative ambivalence found in the approach of the colonial state toward violence and criminality. 2013. Strengthening Local Leadership: Shari’a, Customs and the Dynamics of Vigilante Violence in Aceh, Indonesia. Research report prepared for the Netherlands Ministry of Foreign Affairs (Islam Research Project-Jakarta). Forthcoming. Doreen Lee, Activist Archives: Youth Culture and the Political Past in Indonesia. Duke University Press, 2016. Journal of the Royal Anthropological Institute. 2018. Julian Millie, Hearing Allah’s Call: Preaching and Performance in Indonesian Islam. Ithaca and London: Cornell University Press, 2017. Bijdragen tot de Taal-, Land-, en Volkenkunde [Journal of the Humanities and Social Sciences of Southeast Asia] 174(4): 517-20. 2018. Catherine Smith, Resilience and the Localisation of Trauma in Aceh, Indonesia. Singapore: NUS Press, 2017. Conflict and Society 4: 292-94. 2018. Sher Banu A.L. Khan, Sovereign Women in a Muslim Kingdom: The Sultanahs of Aceh, 1641–1699. Singapore: NUS Press, 2017. Bijdragen tot de Taal-, Land-, en Volkenkunde [Journal of the Humanities and Social Sciences of Southeast Asia] 174(2-3): 320-23. 2016. Kurniawati Hastuti Dewi, Indonesian Women and Local Politics: Islam, Gender and Networks in Post-Suharto Indonesia. Singapore and Kyoto: NUS Press in association with Kyoto University Press, 2015. Bijdragen tot de Taal-, Land-, en Volkenkunde [Journal of the Humanities and Social Sciences of Southeast Asia] 172(2-3): 9-11. 2015. R. Michael Feener, Shari’a and Social Engineering: The Implementation of Islamic Law in Contemporary Aceh, Indonesia. Oxford: Oxford University Press, 2013. Bijdragen tot de Taal-, Land-, en Volkenkunde [Journal of the Humanities and Social Sciences of Southeast Asia] 171(2-3): 380-83. 2014. Amelia Fauzia, Faith and the State: A History of Islamic Philanthropy in Indonesia. Leiden and Boston: Brill, 2013. Bijdragen tot de Taal-, Land-, en Volkenkunde [Journal of the Humanities and Social Sciences of Southeast Asia] 170 (4): 576-79. 2014. Jesse H. Grayman, Humanitarian Encounters in Post-conflict Aceh. PhD dissertation, Harvard University. Dissertation Reviews. 2013. A. Graf, S. Schröter and E. Wierenga, eds. Aceh: History, Politics and Culture. Singapore: Institute of Southeast Asian Studies, 2010. Pacific Affairs 86 (1):193-95. 2011. Yeoh Seng Guan et al., eds. Penang and its Region: The Story of an Asian Entrepôt. Singapore: NUS Press, 2009. Bijdragen tot de Taal-, Land-, en Volkenkunde [Journal of the Humanities and Social Sciences of Southeast Asia] 167(4): 596-98. 2009. Coeli Barry, ed. The Many Ways of Being Muslim: Fiction by Muslim Filipinos. Ithaca, New York: Cornell University Southeast Asia Program, 2008. Bijdragen tot de Taal-, Land-, en Volkenkunde [Journal of the Humanities and Social Sciences of Southeast Asia] 165 (4): 570-72. A Morning of Mourning: Images from Bangkok. KITLV Blog. (With Mahmood Kooria). The silence in the ‘minute of silence’. Leiden Islam Blog. 2015. On the unexpected virtue of ‘The year of living dangerously’. KITLV Blog. 2015. An artist for KITLV’s expanding film archive? KITLV Blog. 2009. 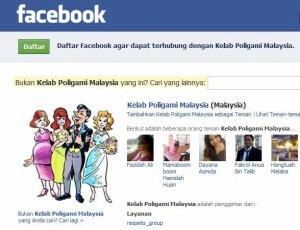 Praten over polygamie in Aceh. Standplaats Wereld (Blog Anthropology Department, VU University Amsterdam). 2018. The Page 99 Test: Becoming Better Muslims. http://page99test.blogspot.com. 2016. Foreword. In: Muhajir Alfairusy, Singkel: Sejarah, Etnisitas, dan Dinamika Sosial (Denpasar: Pustaka Larasan), pp. vi-ix. 2015. (With Mirjam Künkler). Female Islamic Authority in Comparative Perspective: Exemplars, Institutions, Practices (Workshop report). IIAS Newsletter 70: 48-49. 2010. Supporting Syariah, Advancing Women. Inside Indonesia 101. 2008. Politics and society in Malaysia: Whither the ethnic factor? In: New Malaysia Cinema, Film Festival Catalogue, Rialto Amsterdam.